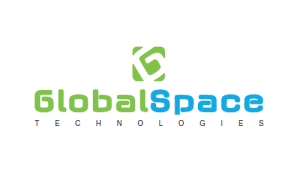 GlobalSpace Technologies is a Software Product Platform Company with focus on Enterprise Mobility SaaS based solutions, providing integrated software & hardware product platforms and solutions to enable large and medium enterprises embrace mobility & digital technology for their business enhancement. The company provides domain specific mobility & digital technology products by leveraging contemporary web, mobile technology, big data, analytics & custom hardware to deliver customizable and configurable solutions to different industry verticals. The company launched its flagship product for pharmaceutical industry in the year 2011. Its core technology platform has been constantly evolving and now includes industry solutions in Banking, Financial Services, Insurance and Education. Apart from the software product platforms, the company has designed and built enterprise specific tablet PCs/computing device brands with different form factors. These devices are offered when a client requires completely locked down devices with high end security. GlobalSpace Technologies provide the entire mobility management suite integrated at the Kernel layer of these devices. GlobalSpace Technologies IPO allotment status is now available on Link Intime’s website. Click on this link to get allotment status.